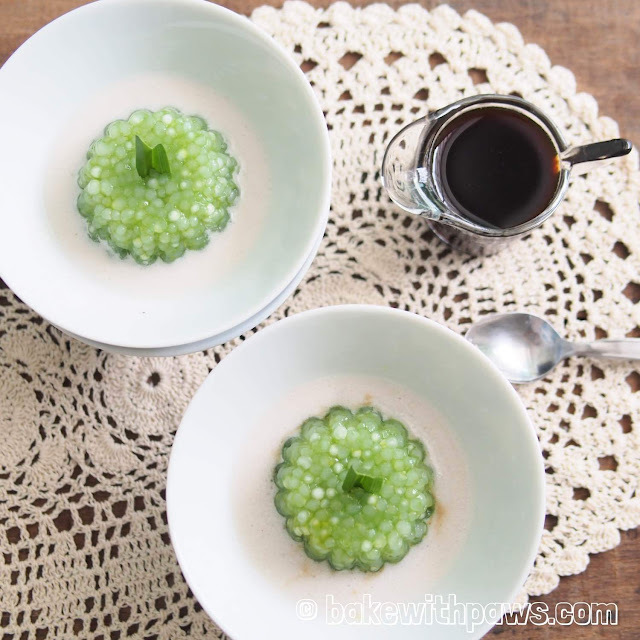 Sago Gula Melaka is an all-time favourite dessert for my family. 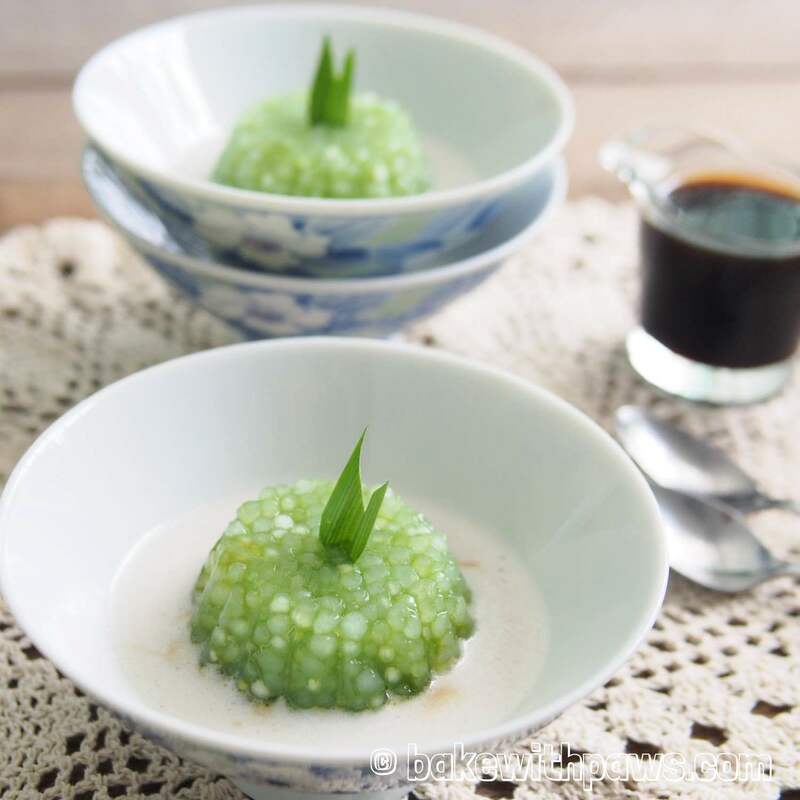 It is a classic and nostalgic dessert that reminds us of our childhood. Since I had some left over pandan juice, I tried to make Pandan Sago instead of plain sago. I used the same Sago Gula Melaka recipe I shared some time ago but with the addition of pandan juice into the sago. The color turned out quite well with a natural pandan green. Bring half pot of water to boil. Add pearl sago and keep stirring till sago turns transparent. It takes few minutes. Pour sago into a strainer and wash off excess starch in running tap water. Drain excess water, transfer to a mixing bowl. Add in pandan juice and mix well. Scoop sago into individual moulds. Chill in refrigerator. In a saucepan, pour in coconut milk, pandan leaves and salt. Boil in low fire until it bubbles. Stir constantly. Set aside to cool. In another saucepan, add in pandan leaves and melt the palm sugar with water on a low heat. Once become syrupy, set aside to chill. 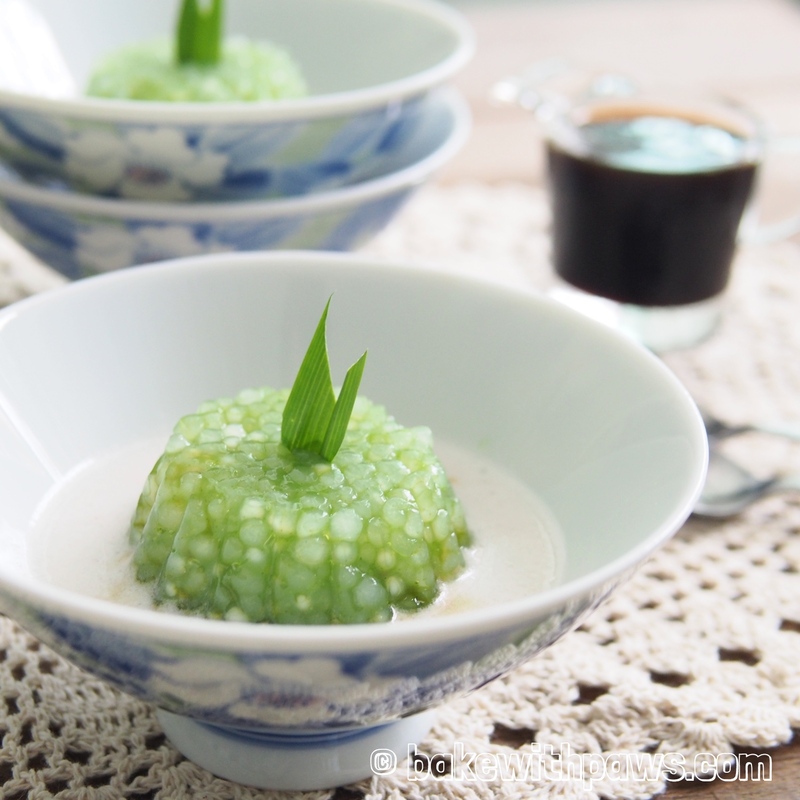 To serve, spoon the palm sugar syrup and coconut milk over the chilled sago.